Hupp, Stephen L. (June 15, 2001). 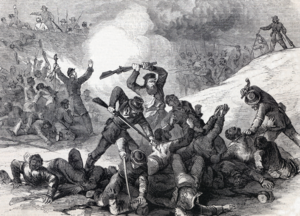 "The Forgotten Battle of Fort Pillow and the Birth of the Ku Klux Klan". Library Journal. p. 117. Retrieved March 10, 2018.